Small as it may seem, the town of Dagohoy holds a special place in my heart being the land of my forebears on my mother’s side. The town is largely rural and relies on the farming of agricultural crops such as rice, corn and root crops for food. I loved going thru vast rolling hills which I was able to do when I attended the funeral of my great grandmother. The town’s cemetery then was located up on a hill far away from the road. Being a child, I enjoyed skipping and running, filling my pockets with guavas which were a-plenty along the way. The town’s cemetery has since been transferred to the outskirts of the town proper, along the national highway and so no more available exploits and wanton activity for a little child. The white sepulchers, which are closely gathered together, do not provide enough space for a little kid to skip and run. Besides, seeing death up close makes goose bumps run over my spine enough to make one meek and well-behaved. Fond memories fill my heart on our trips to the Dagohoy River where we wash our clothes and take a bath. Well, a child always takes to water as a duckling does, and I loved wallowing in small crevices with water and then hop on boulders and stone steps. I did minimal washing, as to be expected. The municipality of Dagohoy is located in the interior part of the province of Bohol, about 72 kilometers from Tagbilaran City. 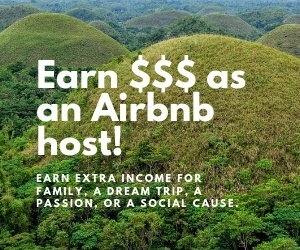 On a Saint Jude bus, the trip takes more or less three (3) hours but worth it for one will pass by heritage churches, houses and the famed chocolate hills not to mention the rolling hills and the rice fields which are so picturesque! Considered to be a 5th class municipality, it has a population of 18,311 people according the 2007 census. Covering a land area of 9,101 hectares, Dagohoy is politically subdivided into 15 barangays, to wit: Babag, Can-oling, Candelaria, Estaca, Cagawasan, Cagawitan, Caluasan, La Esperanza, Mahayag, Malitbog, Poblacion, San Miguel, San Vicente, Santa Cruz and Villa Aurora. The town is named after Francisco Dagohoy, the Boholano who led the longest revolt against Spain. The name was proposed by Carlos P. Garcia, likewise a Boholano, who was by then the Vice-President of the Republic of the Philippines. The only high school in the municipality is also aptly called the Dagohoy Memorial National High School. The municipality of Dagohoy is well endowed with natural assets although largely undeveloped. The Mas-ing Cave, as the locals call it, is said to be a deep cavern with spring water. Go up Camangay Mountain and feel to be on top of the world and enjoy the fresh air and the scenic views. 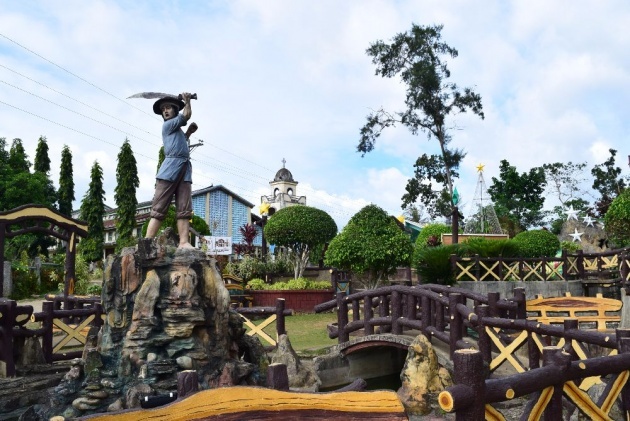 At the center of the town, near the gym, is a small plaza with a statue of the Boholano hero. Triangular in shape, the plaza has been developed, maybe even over-developed, with landscaping and a cave. Across the plaza is the town’s Catholic Church which is dedicated to the “Our Lady of Lourdes”. The church is the center of all pious activities of the people. Come February 11, the feast day of Our Lady of Lourdes, the people celebrate with gusto – flowing drinks and all! 6328, Calape. 6312, Candijay. 6346, Pres.CarlosP.Garcia(Pitogo). 6319, Carmen. 6343, Catigbian. 6330, Clarin. 6337, Corella. 6341, Cortes. 6322, Dagohoy.